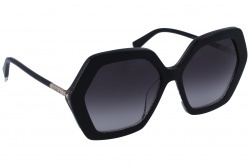 Furla sunglasses are considered one of the most important products of the brand around the world. Through its designs, the brand risks and tries to create timeless and modern models that have nothing to do with the ones that we are use to see. Furla looks for stand out the most outstanding characteristics of the women's face through its shapes. 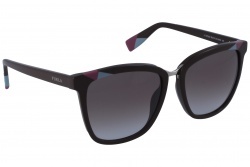 Furla sunglasses are the perfect complement. They stand out because of their great size in the majority of its models. The Italian brand wants to revamp through feminine and through the combination of unique and original colors. Inside its most outstanding models it is possible to find hexagonal, butterfly or round shapes. 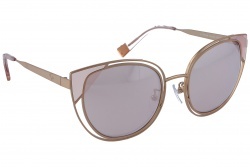 Its creators use first quality materials in order to create the ideal sunglasses for its clients. Their lenses are organic, so they have a great resistant to impacts, at the same time that they provide lightness. All of them have a 100% UV protection. 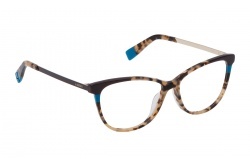 Inside the Furla Eyeglasses catalogue, it is possible to find a great variety of models. Print designs are combined with lively colors. 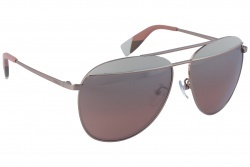 They are light, comfortable and stylish sunglasses. 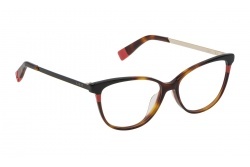 They are the perfect complement for your daily look. Furla was founded in 1927 by the Furlanetto family. 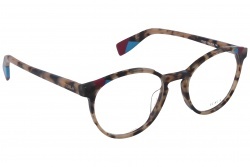 It was born in ITaly, so it is not difficult to see that it follows all the trends and that at the same time the brand could be capable of keep the original essence. At the beginning it was an enterprise dedicated to the bags and accesories distribution. Between 1970 and 1980 it launched it first collection under the name of Furla. Nowadays, the Italian brand is present in a great number of countries around the world. If you are looking for Furla sunglasses, in Optical H we have the best models at the best prices. Our professional team will asses you and will and they will give you the help that you need during the purchase process.